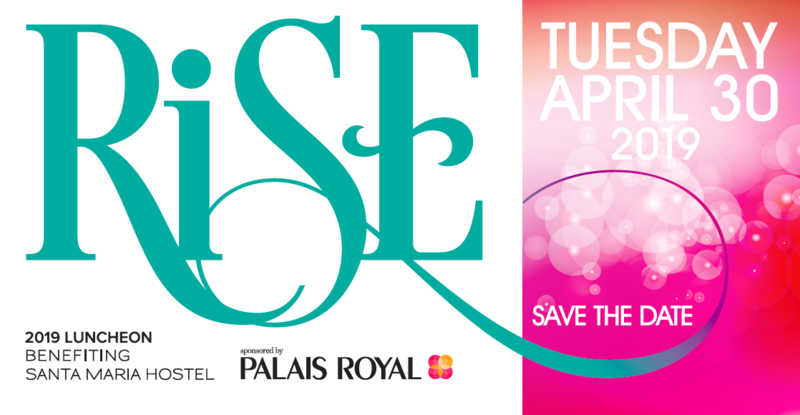 Please join us for our fourth annual RISE Luncheon benefiting Santa Maria, on Tuesday, April 30, 2019 at River Oaks Country Club. We are honored to celebrate the many women and families whose lives have been transformed as a result of the recovery treatment and supportive services they receive through Santa Maria. Our hope is to have the room filled to capacity with the many generous people who support our mission and programs. We have a very special program planned for you. You may reserve your table today by completing and returning the sponsorship form. But you may also donate an reserve your table online, on the link below. Thank you in advance for your generous support. We look forward to seeing you on April 30, 2019 at 11:30am! Reserve Your Table or Purchase Tickets Today! Stage stores -our presenting sponsor- team members at our 2018 RISE Luncheon. Harris County Sheriff Ed Gonzalez, 2017 Luncheon Honoree and Santa Maria's CEO Nadine Scamp. Kelly Fondren, Tommy Austin, Honorable Alicia Franklin York and Honorable Diane Guariglia at the RISE 2017 Luncheon. A New Start Luncheon benefiting Santa Maria in 2015.